Come play with us. Learn the beautiful, ancient art of Thai Massage. An incredibly fun, active adventure. 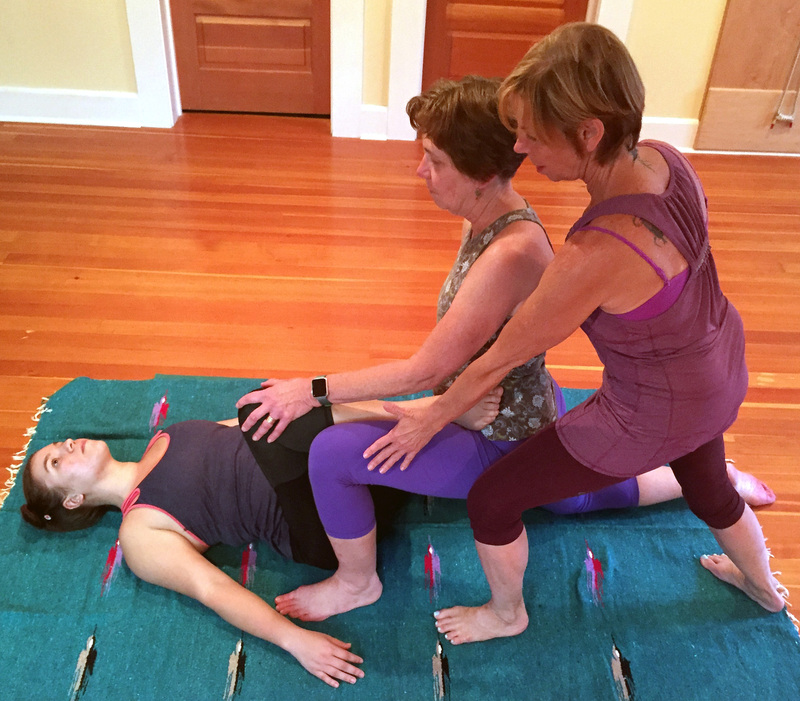 rocking, rhythmic acupressure and deep assisted stretches to open, exercise and tone all the systems of the body. Thai Massage relaxes, refreshes and revitalizes, both giver and receiver, and facilitates mind/body/spirit balance. Joints are loosened and opened through manipulation, muscles are stretched, internal organs are toned, vitality is increased and a deep state of relaxation can be achieved. 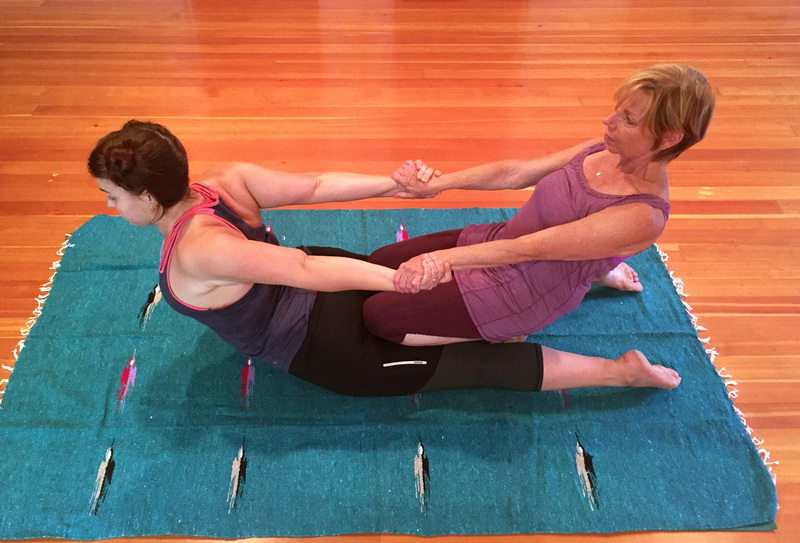 Performed on a floor mat in loose comfortable clothing, both practitioner and client shift through four traditional positions; front, back, side and seated. Thai Massage is often referred to as ‘Yoga for two’ and practiced in a meditative state. Please wear loose comfortable clothing. Practice, History and Theory, 8 Hours – Anterior body. Excellent for tackling specific problems through Thai bodywork. Modules II, III, and IV are reviewed for greater skill and understanding by the exploration of the Theory of the Sen (Energy Lines). Hands on practice with specific therapies including procedures for relief of back pain, shoulder and scapula pain, headache, knee pain, numbness in legs and arms will be explored. Prior knowledge of Thai Massage techniques are helpful, but not required. Elyse is *Board Certified by the National Certification Board for Therapeutic Massage and Bodywork, California State Certified (CAMTC) and a registered THAI Therapist. She is a nationally registered teacher of both massage and yoga therapies. Elyse has had the unique opportunity to have traveled, studied and taught extensively in Bangkok and Chiang Mai, Thailand and throughout Mexico.